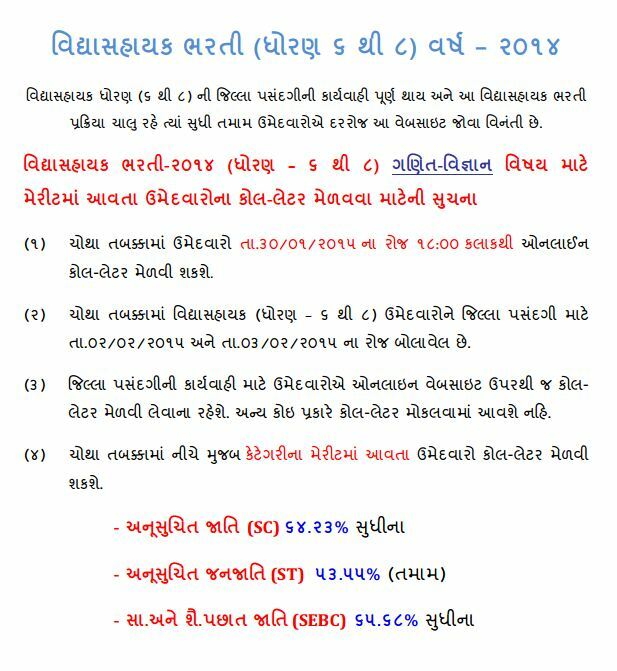 VS Maths Science Bharti Fourth Round Declared by Education Department Government of Gujarat. Vidyasahayak Bharti (Std 6 to 8) 2014 Bharti 4th Round Call Letter Download Form 30-01-2015 through Website www.vidyasahayakgujarat.org. Fourth Round Candidates are calling on 02-02-15 and 03-02-15.